In this, the 200th anniversary year of Jane Austen’s death, we learn that white supremacists are co-opting the English author in support of a racial dictatorship, shocked opponents are claiming that true readers are “rational, compassionate, liberal-minded people,” and conservatives are chiding Janeites for assuming that great literature can be written only by great liberals. All these political takes on Austen, yet whenever someone describes her political views, they get them wrong, because they have no idea what hers actually were. As an individual and an artist, she kept her political mouth firmly shut. She had other—I would claim—more important things to write about. This silence can be confounding, for Austen lived in a time tumultuously like our own. Slavery—the “alt-right” issue of the day—was bitterly fought over. War, political corruption, and disparity in wealth had England on the brink of breakdown. Factory automation was destroying the middle class. Sound familiar? As today, the politics of 1800-1820 had many “quarters.” Radical Tories believed that God had put themselves and the King in charge; the poor deserved their lot because God had made them so. Radical Whigs, full of entrepreneurial zeal, believed that the poor deserved to starve because they were too lazy or incompetent to rise from their rags. In between was a shifting coalition of moderate Tories, who felt a responsibility to those beneath them, and moderate Whigs, who sought to spread the political and social wealth—mostly to themselves, the rising business and technical class. Lower-case “republicanism”—power to the people by putting them in charge, rather than an anointed king—drew the same reaction among conservatives then as “socialism” does today—the fear of the leveling of society (and power). A few desperate citizens pushed for revolt out of despair at the lack of economic and political justice. Many of the issues are woven into the fabric of Austen’s work, but none plays out in the foreground. Thus, people take a slice here and there to justify their own political stances. Sheryl Craig, in her book Jane Austen and the State of the Nation, goes so far as to conclude that Austen’s novels are “carefully constructed texts … about political economics. The love stories came later.” Despite much great information in her work, Craig’s conclusion strikes me as exactly wrong. A few feminist scholars were also described as “startled” to discover that a Wikipedia entry on Austen claimed she supported traditional marriage. Sorry, but she did. Every woman in her novels outside of traditional marriage, unless she started out rich, ends up impoverished, disgraced, or dead. The women in traditional marriage end up happy—or make a conscious and occasionally odious tradeoff for its security (see Charlotte Lucas and Mr. Collins). What Austen insisted upon is that traditional marriage include love and respect. 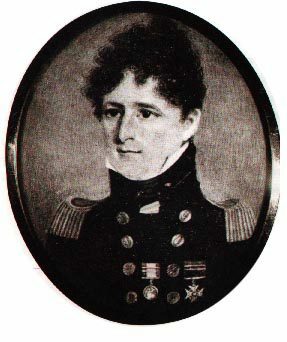 Naval officers like Frank Austen needed patronage to move up in the navy; otherwise, an officer could languish for years. All but a wealthy oldest son faced an uncertain future. The poet W. H. Auden wrote a ditty noting that her supposed love stories actually describe the “economic basis” of society. Four of her six novels open with a reference to wealth, and conversations regularly involve finance. But this “economic basis” develops not through political discourse but through her factual descriptions of life. Being dependent, women must be canny in their romantic choices (see what happens to Marianne and Lydia when they are not). The non-inheriting males must find a career (see all younger sons). The lower classes need patrons to move up (sailor William Price, along with Jane Austen’s sailor brothers). One sees in these stories her liberal sympathies, but it is not a sympathy of class. While self-made naval heroes return from war to supplant the attenuated aristocracy in Persuasion, the author holds in equal esteem the dull but reliable Col. Brandon, the grouchy aristocrat Darcy, the energetic Mr. Knightley, the farmer Martin—anyone who shares the virtues of industry, intelligence, and generosity. The telling issue of that era was the slave trade, which became illegal in 1807, when Austen was 31, in her maturity as an author. As I have discussed before, Edward Said and other scholars claim that she turns a blind eye, particularly in Mansfield Park, where the family’s money comes from slavery on a West Indies plantation. Paula Byrne and others, in contrast, claim that Fanny Price in Mansfield Park speaks “truth to power” about slavery. As today, racial issues divided society. Economic and religious traditionalists supported slavery and evangelicals led the bitter fight to end it. Austen’s admiration for the poet-abolitionist William Cowper and for Thomas Clarkson’s abolitionist book indicate her opposition to slavery. Despite a few anti-slavery winks, however, Mansfield Park does not prove these personal views. Apologists cite Fanny’s comment that, when she raises the issue of the slave trade with her family, she is met with “dead silence!” The inability of anyone to respond to her question demonstrates Fanny’s—Austen’s—moral rebuke. Fanny explains the silence: Her cousins simply have no interest in their father’s business, and Fanny does not wish to “set myself off at their expense,” by showing any curiosity about his topics. Earlier, she makes similar, maddeningly oblique comments. She could mean that she’s interested in the plantation reforms that were beginning to make slavery somewhat less horrific. We don’t know. Slavery adds a subtle metaphor about Fanny’s own lowly status, but Austen is too talented to turn her most complex novel into a political tract. Practical economic considerations fill her books, but to read the novels as political commentary is to miss the point. Austen creates a rich, original world in which complex, believable human beings interact at their best and worst. Any political lessons flow from the way human characteristics manifest themselves at all levels in the real world. Life experience, not ideology, dictates any political take-aways from her plots. She demonstrates that women should be able to accept relationships on their own terms and to provide for themselves as their needs require. In the 200th commemoration of her death, it is disquieting that these lessons of a woman’s right to basic self-determination remain too often unheeded—even disputed. I so agree with Regina here. One should not discuss politics or religion in public. I vote and I support certain causes. And I attempt to treat my fellow human beings as equals. Sheila, in my “public” role, like Regina I try to keep my opinions to myself. It’s not always possible. But most of the problem comes when people try to PUSH a point of view as opposed to EXPRESS a point of view. Most businesspeople avoid politics so as not to drive off half their customers. In contrast, one restaurant owner recently put his political opinions on the menu board, in fairly aggressive terms. I disagreed with his actions more than his politics, and haven’t been back. Colin, thank you for the interesting post. I could not have said it so well, but I agree with the writer here. Thanks for that. Agree with you and Regina. One’s political views are bound to surface in subtle or even direct ways, but that’s different from finding nonexistent messages or seeing them as more than an author’s passing thought. In the opening of my trilogy, I have my main character note that the male protagonist wears his own hair, “whether because of the new fashion or unsuitable political views, it was impossible for Jane to know.” A Whig would have worn his own hair to protest the war tax on hair powder–protesting the war–whereas a Tory would have proudly paid the tax and worn the wig. One could write an essay on the political implications of the statement, or one could realize that it simply shows that Jane the character is highly observant and understands her social/political context. Interesting post. Thank you for sharing it with us. I am of the persuasion that my “public” persona is just that “public.” As Regina Jeffers, I do not discuss religion or politics, for in such a discussion there are no winners.